Since I don't have my Wales Air Ambulance EXC at the moment, I've been finding other ways of keeping my fitness up. 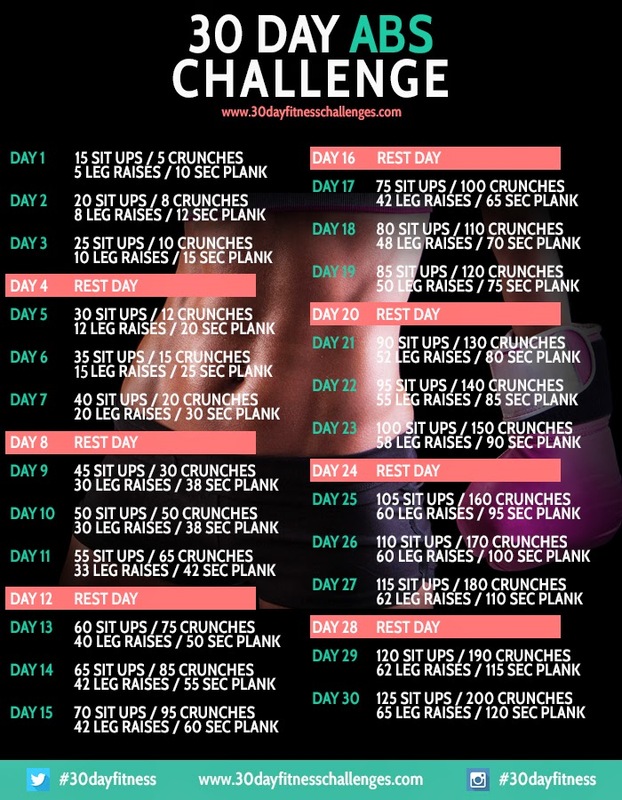 Some friends and I decided to take on the "30 day ab challenge" for June, which is great for my core strength, but hard going! The exercises involved are sit-ups, crunches, leg raises and plank. Check out the schedule below. Anyway, I've been mixing that up with other exercises, so my daily routine now involves ab challenge, press ups, arm-pump machine and rowing! It's quite intense but I feel stronger and fitter as a result. The other main thing I'm doing is a lot of cycling, as I said earlier I've got back into my mountain biking regime and have been doing 2 or 3 long rides per week as well as cycling to work, giving me a weekly dose of around 70 miles. At the moment I feel good about the Welsh, with only 2 weeks left to go until I'm sitting on the start line at The Lakeside in Llandrindod Wells.